Computer engineer Hans Reiser was convicted of first-degree murder today for the death of his estranged wife Nina even though the prosecution had no body, no murder weapon, no definite timeframe and no cause of death. Prosecutor Paul Hora said he’s “quite pleased” with the verdict by the seven-man, five woman jury after two-and-a-half days of deliberations and a trial that lasted nearly six months. He attributed it to a mountain of circumstantial evidence against Reiser, 44, as well as Reiser’s 10 days of testimony, which apparently alienated jurors, although jurors declined to talk to reporters after the verdict was read. Swept up in the euphoria of his victory, Hora also claimed that prosecutors actually do have the body of Nina Reiser, who was last seen alive on Sept. 3, 2006, when she dropped off the couple’s two children at the home in the Oakland hills where Hans Reiser lived with his mother. Nina was 31 at the time. “We have a body; we just don’t know where it is,” Hora told a room full of reporters at a news conference shortly after the verdict. Reiser, dressed in the same gray pants, white shirt, blue blazer and red tie he’s worn throughout his trial, looked straight ahead with furrowed eyebrows as the clerk for Alameda County Superior Court Judge Larry Goodman read the verdict in a courtroom that was packed with reporters and prosecutors but didn’t include any family members of either Hans or Nina. After the verdict was announced, Reiser bowed his head slightly and sighed but otherwise remained calm. Goodman, who clashed with Reiser throughout his trial, then ordered that bailiffs immediately remove Reiser from the courtroom. Reiser’s attorney, William DuBois, said he didn’t know why the judge had Reiser removed even though he hadn’t acted up. DuBois said that in his 38 years of practicing law he’s never seen a judge remove a defendant immediately after a verdict. He was led away, but he’ll return to court on Tuesday to have his sentencing date set. He faces the standard state prison term of 25 years to life for his first-degree murder conviction. Nina Reiser’s body has never been found, despite extensive searches in the Oakland hills and elsewhere. But Hora asked jurors to convict Hans Reiser of either first- or second-degree murder because he believes that circumstantial evidence, such as Hans’ incriminating behavior after Nina disappeared, as well as blood and DNA evidence proves that Hans killed her. Nina met Hans in Russia, where she was born and was trained as a physician and where he often spent time doing business for his computer file system company. They married in 1999, but she filed for divorce and separated from him in 2004. Although Nina was awarded legal custody of their children, Rory and Nio, Hans had visitation rights. Hans Reiser pleaded not guilty to the charges against him and DuBois told jurors that they should either acquit him or only convict him of voluntary manslaughter. Hora said that Nina never would have abandoned her children, an assertion he backed up with testimony by Nina’s friends and fellow parents of students who attended school with the Reisers’ children. In addition, Beverly Palmer, Hans’ mother, testified that she told Oakland police five days after Nina disappeared that Nina was a “conscientious” mother and wouldn’t have abandoned the children. Nonetheless, DuBois told jurors that he thinks that Nina is still alive and could be living in Russia or somewhere in Europe. 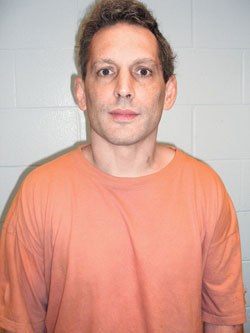 In his 10 days on the witness stand, Reiser appeared to indicate that he had a motive to kill Nina because he bitterly accused her of having an affair with his best friend, embezzling money from his company and inventing illnesses for their son as a way of getting back at him during their divorce proceedings. But Reiser insisted he didn’t kill Nina or harm her in any fashion. After the verdict was announced today, DuBois said, “The facts in the case are not consistent with first-degree murder” but didn’t elaborate. The defense attorney said he decided to have Reiser testify based on the state of the case after the prosecution rested. DuBois declined to reveal exactly what jurors said when they talked to him for nearly 30 minutes following the verdict, but he said they told him that Reiser’s testimony had a negative impact on them. DuBois told jurors in his closing argument that Reiser suffers from a form of autism called Asperger’s Disorder and that the condition explains why he doesn’t behave well in social settings and acted strangely after Nina disappeared. However, Hora told jurors to disregard DuBois’s comments because Reiser never was diagnosed as having Asperger’s Disorder. After Reiser’s verdict was announced, court observers raised the possibility that Reiser might seek to have his first-degree murder conviction reduced to a lesser charge, such as second-degree murder or manslaughter, if he agreed to reveal where Nina’s body is. DuBois declined to discuss the topic in detail, but didn’t rule out the possibility of some type of post-verdict deal. He said, “We’ll have to talk to the prosecution about that” but no such discussions have occurred so far. Alameda County District Attorney Tom Orloff, who joined Hora at his news conference, said rumors of some type deal were purely speculation. Comments for Reiser removed from courtroom after verdict are now closed.